Nikon has today announced the D5000, a 12.3-million-pixel consumer-level digital SLR camera with a 2.7in 'vari-angle' flip-out screen. Nikon has today announced the D5000, a 12.3-million-pixel consumer-level digital SLR camera with a 2.7in ‘vari-angle’ flip-out screen. 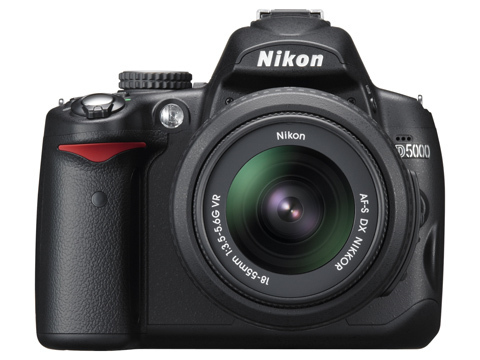 Borrowing features from its D90 sibling the D5000 boasts Live View and an ‘HD’ movie mode. Priced £719.99, and due out in May, the D5000 includes an equivalent ISO sensitivity of 200-3200 which can be extended to 100-6400. The 230,000 pixel resolution monitor has a claimed viewing angle of 170 degrees. ‘This camera offers exceptional image quality and technology inherited from higher-end Nikon models, giving consumers first hand experience of the outstanding quality that Nikon is famous for,’ claimed Nikon Europe’s product manager Jordi Brinkman. The maximum resolution in video mode is 1280×720 pixels, but there is no AF control using this function. Images can be played back on camera or on an HDTV. Also on board is a built-in Image Sensor Cleaning and Airflow Control dust reduction system. 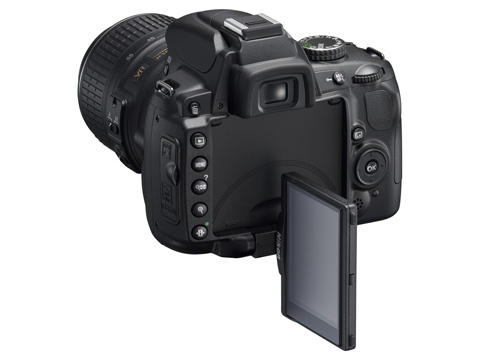 The D5000 uses an 11-point AF system with 3D-tracking AF. Photographers can choose from 19 shooting modes and retouch their images in camera, adding photo effects such as Perspective Control and Soft Focus. Picture controls include Vivid, Monochrome and Neutral. Meanwhile, Scene Recognition is designed to optimise exposure, AF and white balance before the shutter is released.